It is an undoubted fact that the message of Vivekananda has influenced, inspired, and transformed thousands of lives. 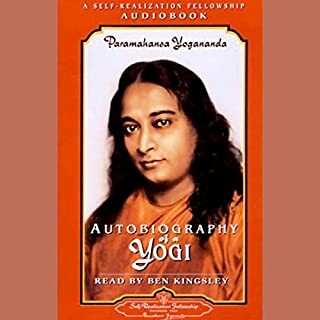 Here are some quotations from the great spiritual leader for the benefit of those who do not have time to go through his voluminous writings and speeches so that they may get at least a partial glimpse of the strength and sublimity of his teachings. 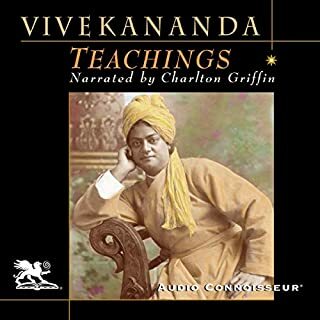 Listeners should be aware that Vivekananda spoke to a wide variety of students and followers, whose religions, cultures, and national origins differed widely. Sadhguru challenges us to embrace the possibility that to each of us is available a higher realm of reality, a peak of consciousness; an entre into the realm of freedom and bliss. 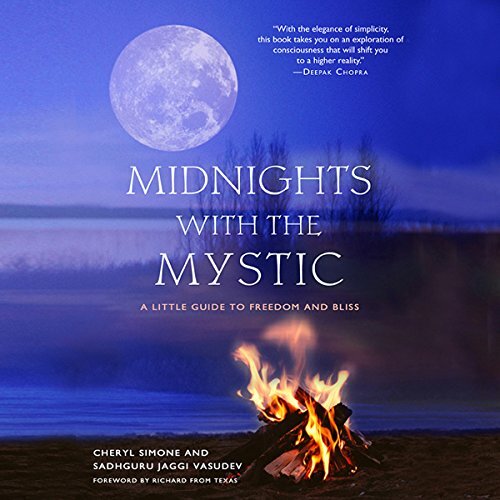 Concrete and down-to-earth, Midnights with the Mystic both provides listeners with an introduction to profound spiritual teaching and a personal glimpse of a charismatic guru. Not much here for serious seekers. These are just questions of a curious mind and nothing much of real importance here for Someone walking path to self realization. 1st chapter is boring and utter waste of time. However, I loved Sadhguru's voice and tone as always. Sadhguru revealing and explaining the basics. Many intricacies of Karmic Theory and other aspects are explained with sufficient insight. 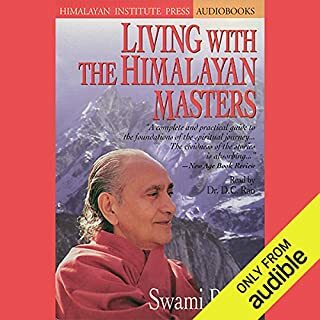 A must listen book for seekers. 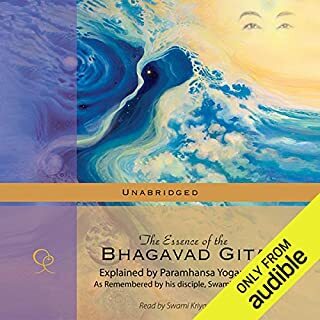 There are other books by Sadhguru.. Audible should release those audio books soon... Can't wait..
do read it to understand the greatness of the person. one in the planet . 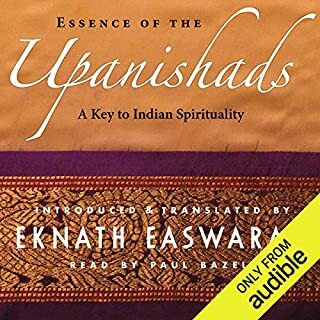 none other than mystic narrates his own book. simply amazing. looking forward to more audio books by Sadhguru. the questions answers in between makes it more explanatory. , Sadguru beyond exquisite. Thanks for all this insight. it was a pleasure listening! got to understand sadhguru lil more. it is magnificent and overwhelming. very powerful at the same time. 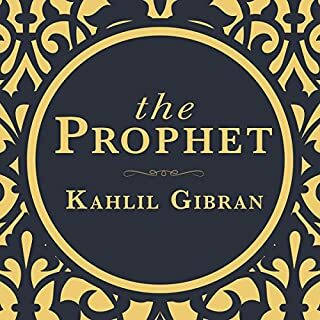 Very much what I was looking for . . . . . . . .
One of the best books i have come across. Sadhguru's insights are timeless. Don't miss it. Maybe. Anytime Sadhguru was speaking, I was in rapt attention. Cheryl Simone really got on my nerves. I experienced her as a needy new age groupie and her quest for enlightenment was one annoying cliche after the another. Do you think Midnights with The Mystic needs a follow-up book? Why or why not? Sadhguru's advice and his perception is just too good. He sees the world and the life around him from a completely different point of view, which is refreshing and in many ways eye opening. 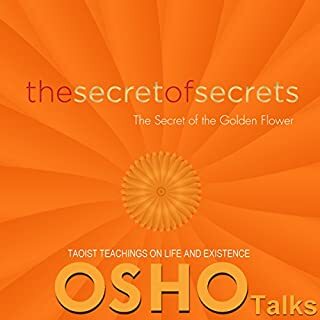 I agree that the book is written by Cheryl, but she gets in the way too much between the listener and Sadhguru. A simple question answer approach would've been perfect. I also understand that the experience that Cheryl had with Sadhguru changed her life (good for her), but the reader/listener doesn't need the details, which were not really important to the subject at hand. 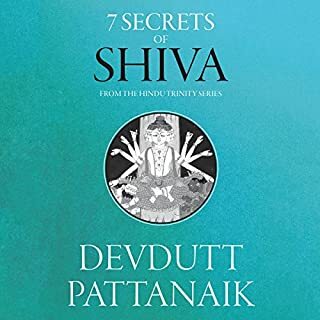 It was wonderful to hear Sadhguru through this book answering mundane to mysterious questions. I am happy that I came across this book. Thank you Cheryl for sharing your time with Sadhguru. I could imagine myself asking the same questions you had. I really enjoyed thank you. I am looking forward for more books from you. 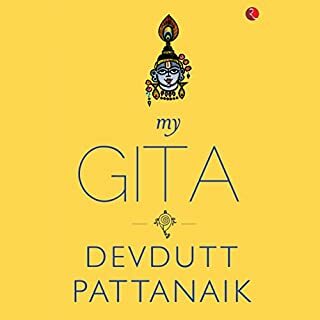 I loved this book as I have always found Sadghuru very wise. At the same time he is full of energy and humor. 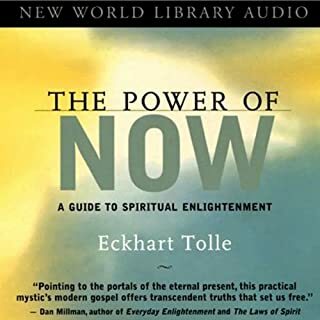 Started out thinking it was going to be like every other book with someone looking for enlightenment, but as this book progresses into a few chapters...Wow! Amazing and uplifting ! What an incredible journey and education of looking at an inside view of a yogi. It's hard for us to understand spiritualism. 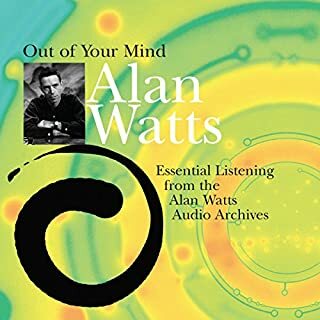 Primarily because of our logical thinking, our hesitation to believe what we cannot perceive and our already existing thoughts, perceptions and understanding of the world. Sadhguru helps us break away from all this and see the world the way it really is. A beautiful conversation. I hardly felt like I was listening to a book. What insight do you think you’ll apply from Midnights with The Mystic? This has given me a glimpse of something that is beyond my perception and encourages me to want to experience that. A path to help change your life! 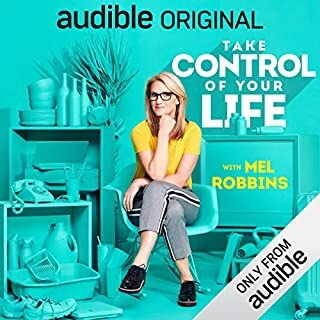 I listened to this book over and over, because there are so many nuggets of wisdom in it! Thanks for sharing the amazing insight you gained from sadguru during his stay! The story was beautifully told. It made me feel as if I was at the lake during those mystical nights. Thank you! 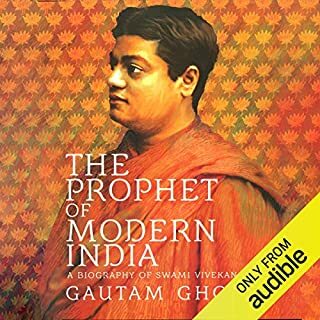 Excellent audio book, real eye opener to the world. 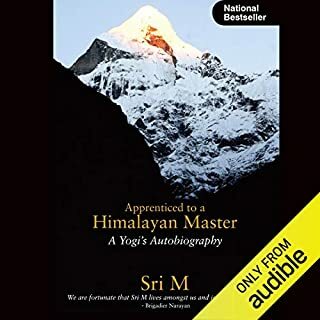 I really hope sadhguru is able to produce more books like this, it's everything you're looking for. What made the experience of listening to Midnights with The Mystic the most enjoyable? Amazing book. Must read or listen if you want to know more about Sadhguru and human life. 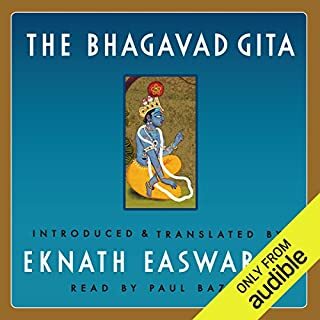 I prefer the inner engineering book by Sadhguru, maybe worth another listen, but I would recommend inner engineering over this one. I was hesitant to take up Isha foundation yoga courses as well in the start. When I did learn my first course of Angamardana, my high blood pressure of 10 years disappeared in 45 days. Sadhguru’s Isha yoga has made so many differences in my life. It’s hard for me even to list them. 🙏 Thank you for everything. 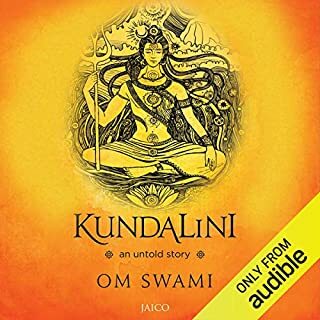 Fantastic audio book to complement the highly popular Inner Engineering audio. Got some useful take away tips for daily life. It was a beautiful dialogue between the author and Sadhguru. The narration was fantastic. I have listened a few times purely because I just loved his stories, jokes and his singing voice. Loved it. This book will give you real insight about life and what is really important that we should be doing. Sadhguru walked into my life 2 years ago in 2017. 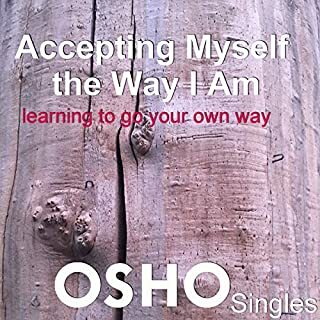 As a seeker of truth I know I’m closer to the truth of who I am after reading this book. Cheryl is a great questioner. amazing description of sessions with Sadhguru, Sadhguru's voice is amazing. Learned a lot about him directly from him. 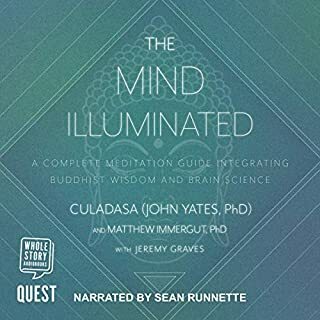 a definitive listen for anyone interested in Sadhguru, his teachings and spirituality in general. As I got into it the more I couldn't stop listening. .sad to come to the end.